There are many ways we keep our group members motivated and engaged, including lots of cups of tea and time to talk as well as meaningful tasks. Here we explore some interesting ways to keep people enthused and to raise the profile of your group at the same time. When you first start your group it can be useful to have a VIP to attend your launch event to generate interest and show commitment from local public services. 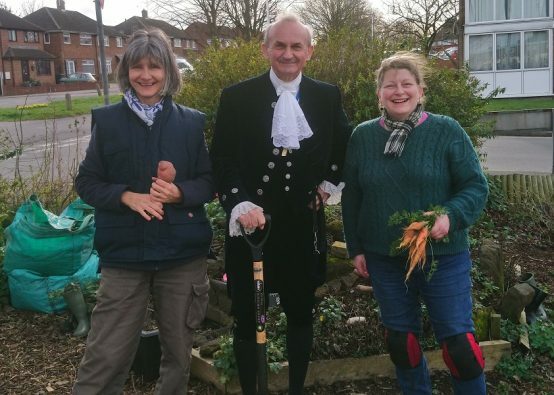 Incredible Edible Wakefield had the endorsement of their Mayor at the launch of their Schools network and Incredible Edible Knowsley had a local Councillor at the launch of their group. Having a VIP visit can also lead to coverage in the local newspaper, which again raises your profile across your area and lets other organisations and influential people see the endorsement from the VIP – here’s the story from Incredible Edible Dunstable in their local newspaper. By building a relationship with your local journalist, then when you let them know something is happening they can either agree to send a photographer or give you their specification for a photo so you can take one. You never know what benefits you might get from being well networked. 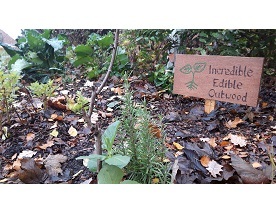 At Incredible Edible Bristol, lead Sara Venn knows some interesting people and is willing to get involved, so when a TV production company were looking for groups to film on a project with Dave Myers (of Hairy Biker fame), then Sara was happy to say yes. This resulted in Incredible Edible Bristol being showcased in a TV programme about people power, which you can still see here (around 7 mins in for the piece about Incredible Edible Bristol). Gaining this sort of coverage and endorsement is great to motivate group members as well as raising the group’s profile. You may not know TV production company people, but it’s worth thinking about who you do know (or who they might know) and how those connections could help you and your group. 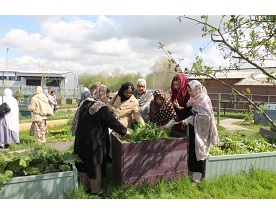 For more ideas about Building your Incredible community, then sign up to the website and click through to our Toolshed section which has loads of information about connecting in your community.